I am so excited to welcome Natalie of Two Wheeling Tots. Here and I have been having some great conversations over the past few months about bikes and kids and just getting kids out. Her website is absolutely incredible. If you are in the market for a kids’ bike, THAT is where you need to look for comparisons. Some of our reviews overlap and some we have done are different, so we think it’s a great partnership. We are working on some bike reviews here too that will spill over to the spring – watch for them! Her bio is at the end of this article linked to her site – be sure to click over and give her some love! Any bike is better than no bike, BUT not all bikes are created equal. Over the past 10 years or so, adult bikes have transitioned into efficient, lightweight marvels, while children’s bikes have morphed into gaudy, sugary-sweet, super-hero-covered tanks. As toy manufactures now sell more bikes than bike companies, how and where parents buy bikes has drastically changed. Luckily, things are beginning to look up, but many myths are preventing parents from jumping off the big-box store bandwagon and into the world of specialty kids bikes. Here’s are the top five myths parents need to tackle before they purchase a kids bike. Truth: When provided with the right opportunities, kids quickly and easily teach themselves how to balance and pedal a bike. No need to run by their side or push them around with a pole or argue over whether they are “trying hard enough” or “needing to be brave”. By starting on a balance bike as a toddler, with time they will teach themselves to balance. 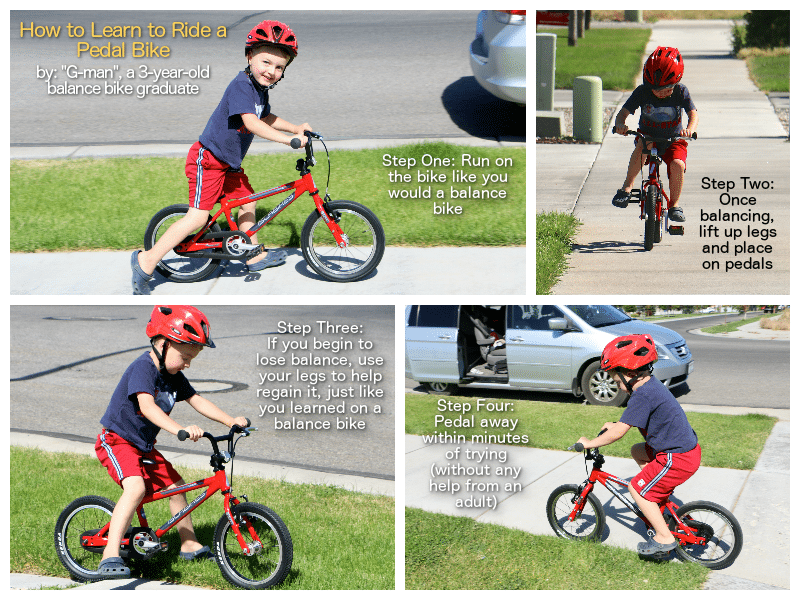 Once balance is mastered and they are ready to move to a pedal bike, simply give them a pedal bike and watch them ride away. 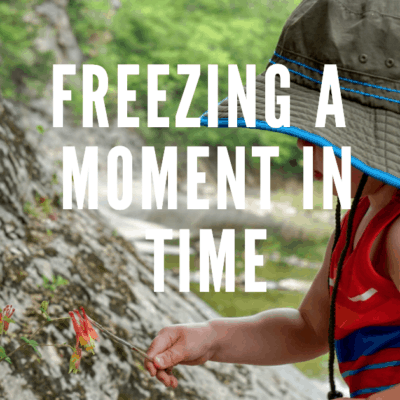 No need to teach them how to pedal or to use training wheels, having already learned how to balance and stop and start a bike, learning to pedal is easy and is generally learned in under 30 minutes. 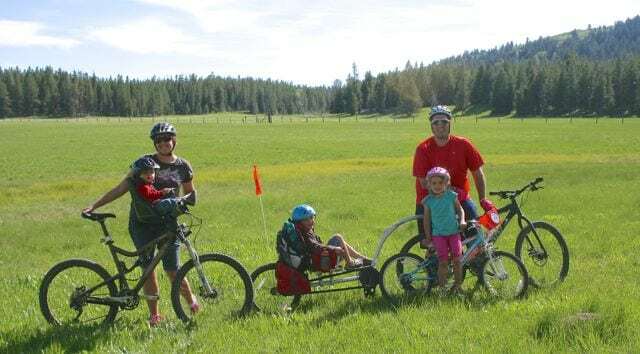 Amelia’s input: If you haven’t read it, check out our article on “Just Say No to Training Wheels” – there is some great conversation in the comments too! Truth: Generally all bikes with a licensed characters (as well as most bikes in bib-box stores) are for looking at, not riding. Sure, seeing their favorite character on their new bike gets them really excited to ride, but once they realize how hard it is to ride their bike, they quickly get discouraged and their parents assume that their child isn’t quite ready yet and puts the bike in the back of the garage. In reality, these bikes generally weigh up to 50% of a child’s weight, have a very high center-of-balance, and are therefore very hard to ride. Can you imagine riding a bike that weighs half of your body weight? Considering toy manufacturers, not bike companies, make these bikes, their emphasis is on looks and price point, rather than performance (hence the $40 pedal bike!). As a result, it’s not surprising that most of these bikes are actually used much less than higher-end bikes, and when they are used, it is often with training wheels. For kids who do master cheap bikes without training wheels, when given the opportunity to ride a higher-end bike, the pure giddiness they experience as well as the ability to ride longer distances without tiring is priceless. Truth: Yes and no. Bike shop are certainly the BEST place in town to get local advice about bikes and are ALWAYS better than a big-box store, BUT they don’t always carry the best bikes. In the US, many big bike brands, put minimal efforts into designing their kid’s line of bikes. Considering they represent a very small portion of their sales and profits, in most cases it isn’t profitable for them to invest a lot of time and money into their kids line. Instead, they build good quality bikes that parents assume are the best because of they bought it at a bike shop and not at a big-box store. Over the last couple years, however, several companies have entered the US market that only build kids bikes. Often redesigned from the bottom up, these bikes are built for kids using components and frames designed specifically for kids. Most kids bikes in the US are built using components designed for adults, which are often too wide and too heavy for kids, but they are cheap and readily available, so they are used. 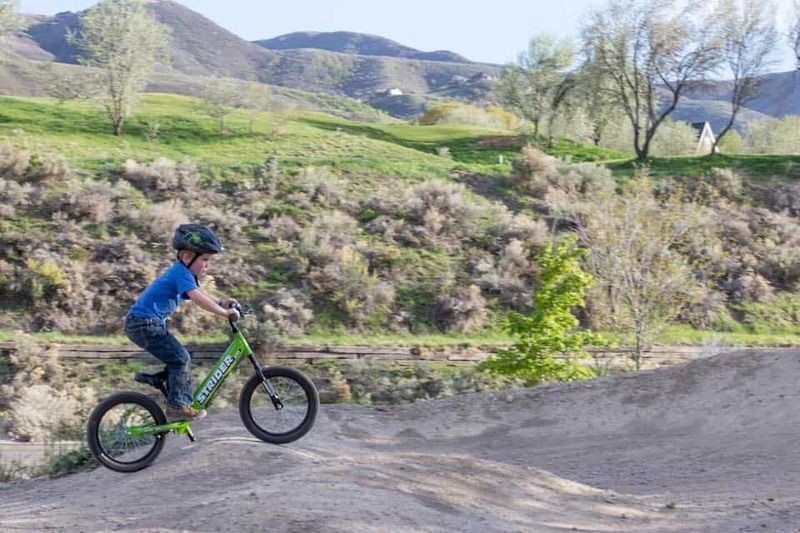 Lighter weight and designed specifically to have a lower center of gravity, this new generation of kids bikes are significantly easier and more comfortable for kids to ride. Generally only available online these brands include Cleary Bikes, Islabikes, Spawn Cycles, Ridgeback Bikes and coming soon Woom Bikes. Myth #4: Coaster brakes are much safer than hand brakes. Truth: All throughout Europe, where bikes are often a child’s main source of transportation, coaster brakes don’t even exist. Instead, from the moment they learn to pedal a bike, they rely solely on hand brakes. In the US, however, the CPSC believes that kids in the US are not capable of stopping a bike with a hand brake and sadly, in most cases they are right. Unlike in Europe, most kids in the US are not given the opportunity to learn to start and stop a bike with their feet and/or with a hand brake on their pedal bike. Therefore, they don’t have the hand/eye coordination to use a hand brake, while simultaneously learning to balance a bike. As a result, all smaller kids bikes are required to have a coaster brake, yet they often cause more harm than good. When learning to pedal a bike, kids often mistakenly pedal backwards. Upon doing so the coaster brake quickly activates, which not only surprises and scares the child rider, but also causes them to lose all the momentum they worked so hard to achieve and in some cases, causes them to crash. Without the coaster brake, kids never experience that sudden, unexpected stopping of the bike and therefore tend to progress quicker and with more confidence on a bike without a coaster brake. Truth: If you child is standing up to ride their bike, then their bike is either too small or has very poor geometry. While it is common for kids of all skill levels to stand up while riding, it should be done for fun, not out of necessity. Poorly designed bikes often require kids to bend their knees to such extreme angles that pedaling is extremely inefficient for them. 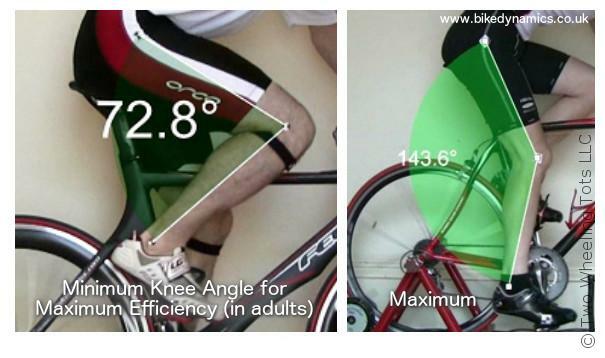 Standing up improves the efficiency of their pedaling by requiring less bend in the knee to pedal and thereby making the bike easier to ride. A properly designed kids bike, like adult bikes, should be easier to ride while sitting down vs. standing up. As mentioned in the beginning, any bike is better than no bike. Even a $40 Black Friday big-box store bike is better than nothing, but if it is in your budget, seeking out a child specific bike will be greatly beneficial to your child’s ability and desire to ride. 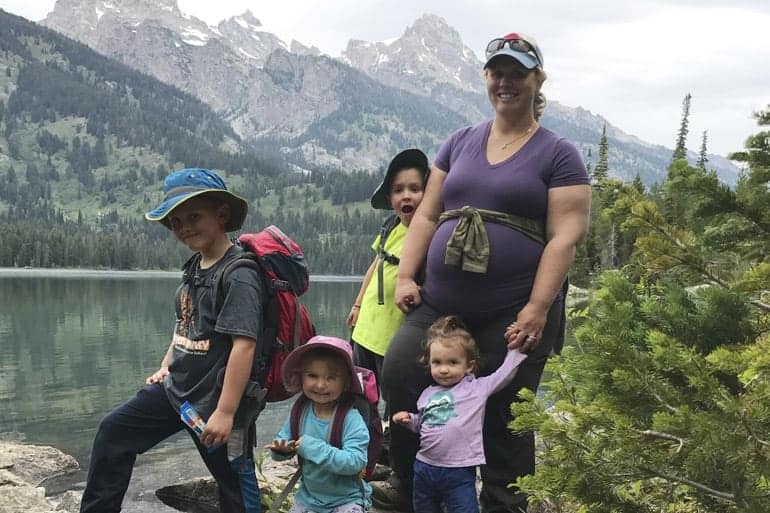 Natalie is mountain biking enthusiast, mom of three and the head mastermind over at Two Wheeling Tots, a website dedicated to finding the best in bikes for kids of all ages. 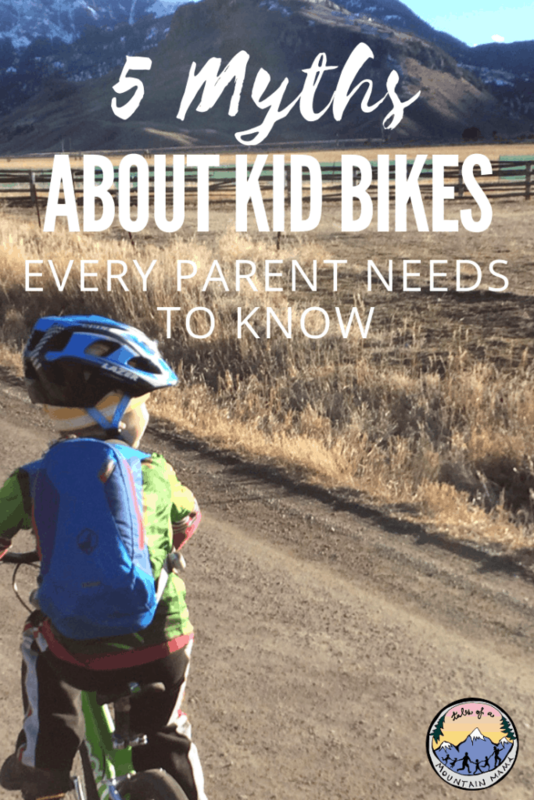 From balance bikes, to bike trailers and pedal bikes, she researches, reviews and compares the top products to help parents quickly and confidently find the best bike related products for their family. Could not agree more on every thing said in this article! Good job. We went from Strider balance bike to Spawn 16″ bike, no training wheels, and had great success. Great stuff, I have been singing the praises of light kids’ bikes for decades, I am glad to see options appearing. I would also like to point out that the 42 pound 16 inch wheel bike (from a reputable manufacturer) we bought that cost $125 was worth nothing within months while spawn cycles are routinely selling used for $100 less than new. Therefore lifetime cost for the better bike is less than for the tank. Hi Doug – first of all,love the photos on your blog! Awesome!! And thanks for the tips! A light bike is definitely the way to go! After they’ve mastered the balance bike of course. : ) We started on the Runners balance bike (best! light and with smaller turning radius so they don’t wipe out) and went seamlessly – no training wheels – to a Spawn bike. 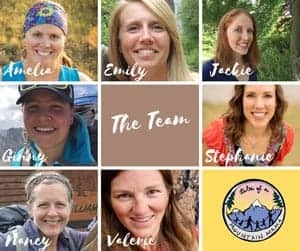 A couple months later she was in mountain bike camp. She loves biking and can do 10+ km no problem. If you like cycling and want your kid to enjoy cycling, a nice bike pays for itself! This is such great information! Thanks so much for putting it all together. Our son is currently going strong on his balance bike and I really appreciate all the helpful tips as we plan next steps for him in terms of cycling. Some good advice although #4 is completely wrong! Being from Denmark, where cycling (as you say) is main type of commuting method, my bikes had coaster brakes until I was well into my teens. Same for all my friends. And German and Dutch friends too. It is far safer for little hands who can’t quite manage handbrakes yet – although there is also a handbrake on bikes with coaster brakes. I honestly don’t understand why all bikes don’t have them – you wouldn’t drive a car with just a handbrake, why a bike? You write here that European bikes don’t come with coaster brakes. That is not true. I live in Sweden and I grew up with bikes with coastal brakes. I also bought one recently for my son that has coastal brakes, and my bike also have coastal brakes. So for regular (not used for sport) bikes, they all have coastal brakes (and hand brakes). The bikes that have hand brakes are mountain bikes, race bikes etc. Great article! Thank you for including links to manufacturers. I grew up in the UK and never encountered coaster brakes. I started riding a bicycle at age four, or younger, and never had any issue applying sufficient force via a brake lever. My five year old son is ready for a new bike and I’m so glad to be able to get him away from a coaster brake. They direct the braking to the least effective wheel. They cause random, destabilizing skids, especially during emergency stops. Since you can’t just move the crank backwards while stationary, they make starting off difficult. I’ve watched my son adapt and work-around the problems of the coaster brake. I’ve also witnessed him fall many times because of the coaster brake. The only benefit that they appear to provide is convenience for adults going for sedentary rides. Great article except i would have to dissagree with the assertion that kids bikes are built from adult bike componets.. This isnt exactly the case..
As a smaller bike with the same frame would mean less material over all and should weigh less than its adult counterpart..
My walmart adult diamond back bike are nearly 10 pounds lighter than my sons more expensive diamond back bike..
As a 60 pound child barley going 20 miles an hour isnt going to cause that much more damage that a tougher bike is warranted.. I would surmise that injuries to childern increase as more mass is added to a potientially out of control situation.. Almost every kidsbike in europe has a coasterbrake! Good points to show the husband! Thanks for the great article! I didn’t realize the center of gravity is high on most kid bikes! After reading this, i feel like maybe my son has some valid reasons for his bike riding frustrations… which means there are possible solutions! Hooray! This is a great article,When I was growing up we didn’t have training wheels on our bikes and we learned to ride in just a little while after trying. I agree that any bike is better than no bike. This has been so informative. My five year old is in need of a new bike, we only ever bought her a tricycle before, and now I can’t wait to get her a bike with hand brakes even though it’s a little intimidating. From our son’s experience, I totally agree with starting on a balance bike & moving to a light weight balance bike! The coaster brake info was all new to me – thanks! Thanks. I needed to re-visit the no-parent help to getting a kiddo to riding by their bike. Wow. Super interesting. Like most people, I had no idea kids bikes weren’t just…kids bikes. I didn’t know training wheels weren’t a given. Consider me enlightened. Question- how do you know when your child is transition from a balance bike to a pedal bike? I’d love to hear others’ perspectives. Good question. When they can glide on their own and have great balance, you can start the transition! Also it helps to have teh right size pedal bike for them to move into, of course! 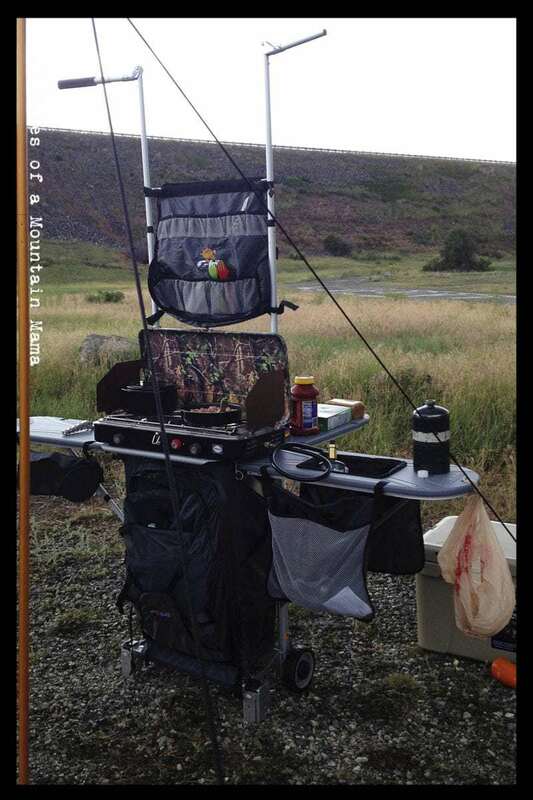 We recommend the WOOM 2. Looking for information on kids bikes, but not sure why you are so anti-coaster brake. I used a coaster until I was 11 years old. I loved it, you can’t beat the power. For parents who are not bike mechanics , the coaster is zero maintenance. Do you really want spend time truing a wheel, replacing pads or a cable to snap with a young child going downhill fast? If you want to spend $350 on a bike a kid will use for a year, go for it. I agree, weight is important, I would just like to find a light 14″ bike for my 4 year old daughter for $120. They do not exist, it is either $65 at toys r us or $350 on-line, those $200 bikes at REI are tanks. Stampede Bikes has a great budget-friendly one. And the idea is mostly just kids won’t have to learn things twice….if they skip coaster brakes. My kids ride their bikes HARD and we haven’t had to deal with any major maintenance, and they can ride a size at least two years usually. But, I do understand your concerns! We use stampede bikes as well! We went from their balance bike to the 16 inch sprinter. Both of my children climbed on for the first time without assistance and rode off. No running alongaide the bike, holding the seat, or falling over. I was so glad we skipped coaster brakes because now even as experienced riders they can better situate their pedals by spinning backward. They have used handbrakes without issue since they were 3 and we have never had any issues with maintenance regarding the hand brakes. stampede bikes doesn’t exist anymore. we had 25 lbs bkes in the 80’s and we managed. Kids are lazy let them sweat it out by trying to push their weight. yes, Stampede is taking a year break….hoping to be back up in 2019!